Detroit Public Schools issued a special alert for parents of students over the possibility of a number of school closings on today due to sick-outs. 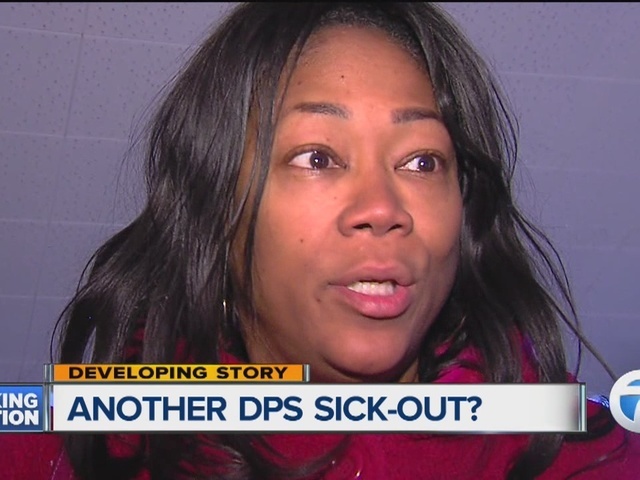 This morning, at least 50 DPS schools are closed because of the sick-outs. Last week, at least five schools closed on different days because of the sick-outs. The Detroit Federation of Teachers said it is not supporting the protests that force the closure f schools at this time. “We haven’t sanctioned the sick-outs, but I want everyone to understand the frustration,” said Ivy Bailey, Interim President of the Detroit Federation of Teachers. The person behind the sick-outs is Steve Conn. He introduces himself as “the elected DFT president.” The DFT’s interim president said he was kicked out of power in August for misconduct. Other teachers say he is not behind the sick-outs and that a group of teachers is responsible. They said he is taking credit for the sick-outs. "Just as doctors take the Hippocratic Oath to uphold ethical standards, teachers also take a Loyalty Oath to serve, protect and allow no harm. Unfortunately, we have been unable to live up to that with the constant change of leadership, state control and 4 consecutive Emergency Managers." The group said it was planning to participate in a solidarity rally at noon Monday at the Fisher Building. "We are not affiliated with BAMN, its' leadership, or any former DFT leadership. We are teachers united as it is time that we stand up and defend our students, our profession, and our rights! Our cornerstone issues are Academics, Fairness & Equity. Our goal is to ensure that Detroit students are no longer pay for the deficit created by state control, and to protect their civil rights and ability to receive an exemplary education." The group said it believes Detroit teachers "deserve to be treated the same way teachers are treated in Livonia, Novi, West Bloomfield, Grosse Pointe, Troy and all other districts throughout the state of Michigan."